Milan Preview: White Shell Occasional/Night Table, Zanotta. 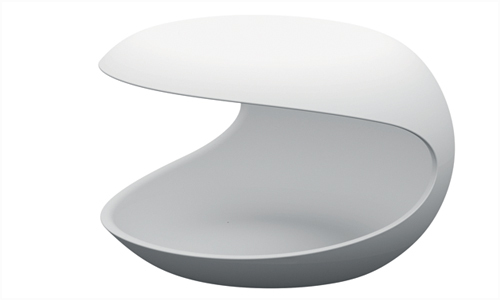 Italian furniture company Zanotta introduced this White Shell Occasional/Night Table designed by Salvatore Indriolo. The frame of this table is made of Cristalplant®, which is a composite material that is 100% recyclable with finishing that is similar to natural stone. This piece will be on display at the Salone del Mobile (Milan Furniture Fair) in April.